If you are as old as I am, you remember when the holiday was commonly called Independence Day. Now when you hear the phrase "Independence Day", you are more likely to think of a popular movie. When I was a kid, the Fourth of July felt like the halfway point of summer, although I know now that it is really only the beginning of summer. But as a kid I always loved the Fourth of July - hanging out at the Hellertown Pool for the day, sharing a picnic dinner with all of my cousins at one of our houses or the other, ending up at the Dewey Fire Company carnival for the evening capped off by lying on a blanket in the darkness on the hill beside the Dimmick Park baseball field watching the fireworks burst through the sky. The Fourth of July is never quite the same when you grow up, but that is not necessarily a bad thing. Times change, new pleasant memories are made, new fun traditions evolve, but you will never forget the wonderful, carefree Fourth of July holidays of your childhood. I wish everyone a wonderful, magical, safe but childhood-like holiday weekend this weekend, whatever you call it! 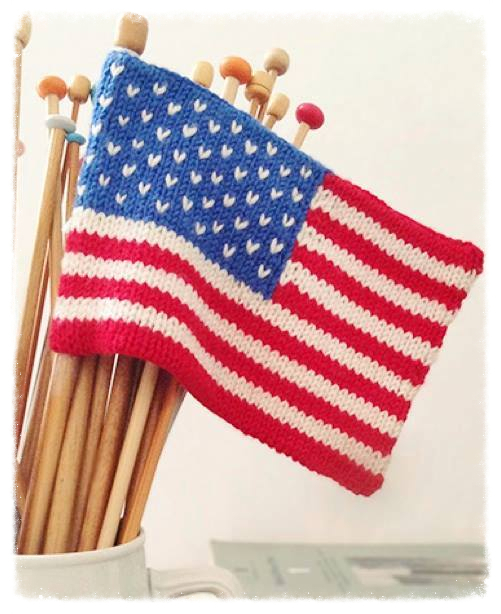 The shop will be closed Monday, July 4th, so all of our associates can spend the day with their families. I'm sending just a short newsletter this weekend with a couple of news items for July. We will have more news on the upcoming classes soon, and you can always check the website for the latest class and event news. Bus Trip to the New York Sheep and Wool Festival is Booked! Hard to think about, but it is already time to charter the bus for the biggest festival of the year - Rhinebeck! The price will stay the same once again this year, but with one difference - the $49 price will include the bus driver tip this year, so no fumbling for dollars necessary on the trip home to fill the envelope! The bus will leave the Emmaus Weis Market parking lot at the 7-Eleven end promptly at 6:00AM, and will leave the festival promptly at 4:00PM. There will be complimentary snacks on the bus, and there is a bathroom on the bus. We should be back in Emmaus by around 7:00 - 7:30PM. The cost of the bus trip is $49 and includes the bus driver tip but does not include admission to the festival. I will be getting discount admission tickets (they are usually $9, but I haven't heard the price for this year although I am assuming it will be the same) ahead of time for sale on the bus ride up to New York for everyone who is signed up by 9/15. 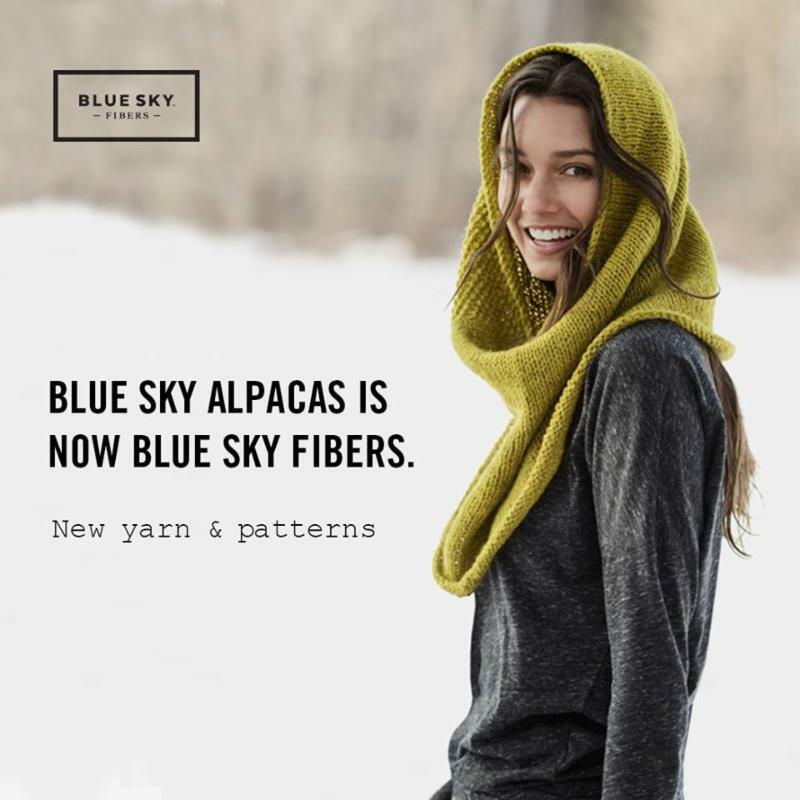 One of the first companies we lined up when we opened the shop seven years ago was Blue Sky Alpacas, and they have remained a favorite. They have now evolved into this wonderful new entity - Blue Sky Fibers - with a great new backstory and some beautiful new yarns, one of which, their newest worsted weight Peruvian wool named Woolstok, hits our shelves today in every color they make. You can check out their story and all the colors of the new yarn here - www.BlueSkyFibers.com, then stop in to the shop for your supply of this wonderful new yarn!